Forget 2.0. 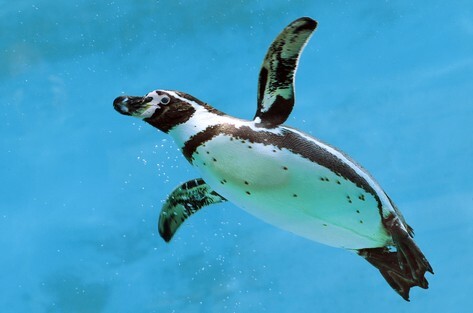 Is Your Guest Blogging Strategy Ready for Penguin 3.0? Forget Penguin 2.0. Is Your Guest Blogging Strategy Ready for Penguin 3.0? If the following snippets from Matt’s video send a shiver up your spine, now might be a good time to hit the panic button. We’ll be looking at some efforts to be a little bit stronger on our enforcement as far as advertorials that violate our quality guidelines. Now there’s nothing wrong inherently with advertorials or native advertising, but they should not flow PageRank and there should be clear and conspicuous disclosure so that users realize that something is paid, not organic or editorial. … these changes might have a little bit more of an impact in those kinds of areas that are a little more contested by various spammers and that sort of thing. We’re also looking at some ways to go upstream to deny the value to link spammers–some people who spam links in various ways. … people who are link spamming or doing various black hat spam would be less likely to show up I think by the end of the summer. If you’ve been hanging out on a lot of black hat forums and trading different types of spamming package tips and that sort of stuff then it might be a more eventful summer for you. What black hat tactics attract Google’s attention? At great risk to my computer, I ventured deep into the belly of a black hat forum to gather insights on Black-Hatter machinations and sub-culture. DISCLAIMER: The following views, tactics, and opinions belong solely to Black-Hatters (otherwise known as “Very, Very Bad Humans”) and do not reflect the views, values, and opinions of CopyPress nor anyone affiliated with CopyPress. NOTE: The identity of Black-Hatters has been omitted for their protection (Black-Hatters also have children to feed). Web 2.0 link wheels (automated, social profile linking) and link spam software (i.e. GSA) are standard Black-Hatter tools. The “private blog network” referenced by the second Black-Hatter refers to clandestine networks of blogs maintained for the sole purpose of manipulating Google rankings. SAPE is a network of blogs utilized by gangs of Black-Hatters. Much debate exists amongst Black-Hatters as to if Google can detect this network. Poor grammar is stereotypically associated with Black-Hatter dialect. While Black-Hatter activists cry “hatter profiling,” Google agents continue to target this dialect in spam cases. This is considered a form of Black-Hatter humor. Their obsession with Google’s algorithm has spawned a subset of humans fixated on numbers and equations. As in normal society, disagreement is common in the black hat community. The responding Black-Hatter states a compelling case for guest blogging that is difficult to contest. While Penguin 2.0 will focus primarily on Black-Hatter link-building tactics and paid “editorial” links, Google will continue to gather and analyze data to complete its sweep of link-building rackets. Some of this data is voluntarily provided by you (see my previous disavow link tool post). If you’re worried how future Penguin updates (AKA: Penguin 3.0) will affect your guest blogging tactics, you’re doing it wrong. The primary goal of guest blogging isn’t link acquisition—its branding and attention. Bottom line: Create useful and shareable content. Promote it naturally and responsibly with intent to drive attention, not just links. What are your thoughts? Is my assessment on the money? Or, do I need to get my head checked?